Heat a pan and dry roast the sesame seeds. Keep it aside. 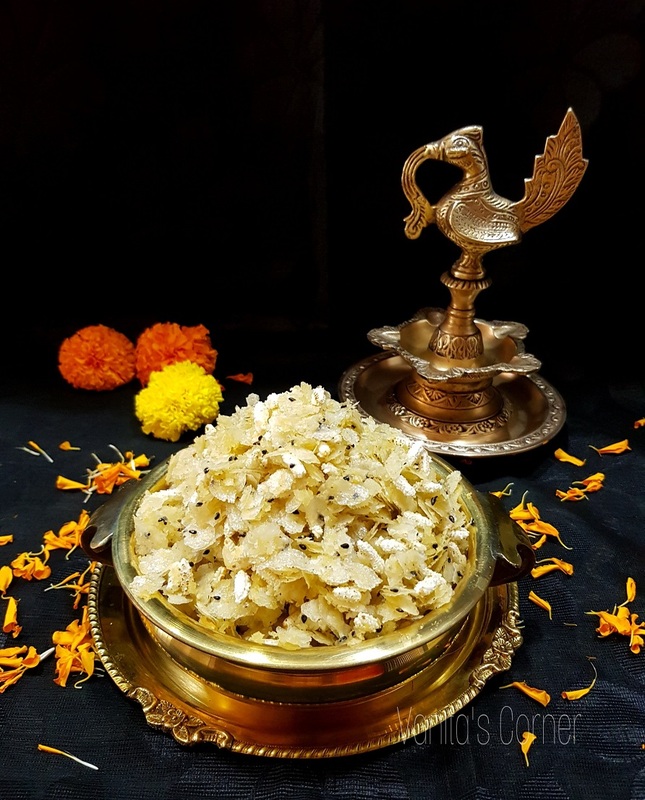 In a mixing bowl, add the grated coconut, grated jaggery, roasted black sesame seeds, cardamom powder, ghee and mix well using your hands. To this, add the poha, puffed rice and give a good mix. Thats all. Sweet Poha is ready to be offered to God and later served as prasad.